The actor is coming to Claremont on Feb. 12; details are in my Friday column. After that: three Chino items, four Chino Hills items and three from the cultural scene, one involving Maggie Smith. As mentioned at the end, I’ve had this week off; no column Sunday, no Restaurant of the Week here, but I’ll be back at my desk on Monday. Wednesday’s column begins with an item on Sunset magazine’s feature on Claremont, continues with four Chino items and Valley Vignettes from Ontario, Diamond Bar and Pomona, and ends with an encounter in Upland. Wow! She did not have a peaceful, easy feeling! Always interesting what people take from a column or how they interpret it or what they read into it. I do like the Beatles, as most of us do, but I don’t think it’s an either-or, or that I shouldn’t be allowed to not love the Eagles. But correct me if I’m wrong. 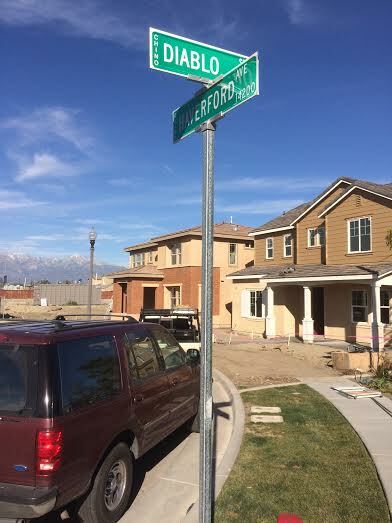 Sunday’s column begins with an oddity about a street named Diablo that will be changed due to complaints, then continues with items from Ontario, Upland and Pomona, and about two Rancho Cucamonga tie-ins to TV. Friday’s column presents some news that surprised me: Not only did the Eagles (whose founding member Glenn Frey died this week) perform in Ontario in 1974 and 2010, but they rehearsed for their 2013-15 world tour here too, in secrecy. I’ve also got a couple of Culture Corner items and word of an O’Day Short tribute event. 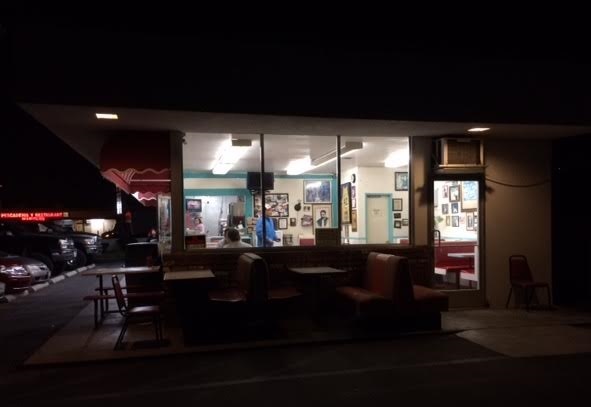 Only a couple of times before (Covina’s Capri Deli, San Bernardino’s Mitla Cafe) have I written a Restaurant of the Week about a spot outside the Inland Valley. Both were worthy spots, in business for decades, that seemed of potential interest to you. 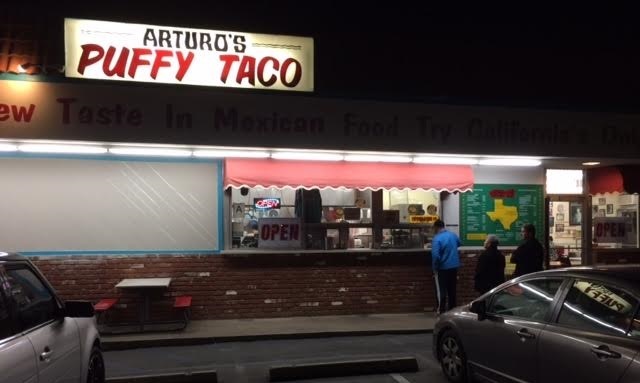 It’s a walk-up, where you order through a window, pick up your food inside and dine there. I got two puffy tacos: carne guizado ($2.50) and carnitas ($2.65), plus a horchata ($2.05); the New Diner, who’s gone vegetarian on us, got a bean and cheese burrito and taco. There were customers when we arrived and nobody when we left near closing time on a weeknight. The walls have a lot of San Antonio memorabilia. A puffy taco comes in a flash-fried shell that turns flaky and delicate. Have you had cinnamon crisps, those pseudo-Mexican puffy chips dusted with cinnamon as a dessert? I’m not even sure where I’ve had them, Taco John’s maybe. 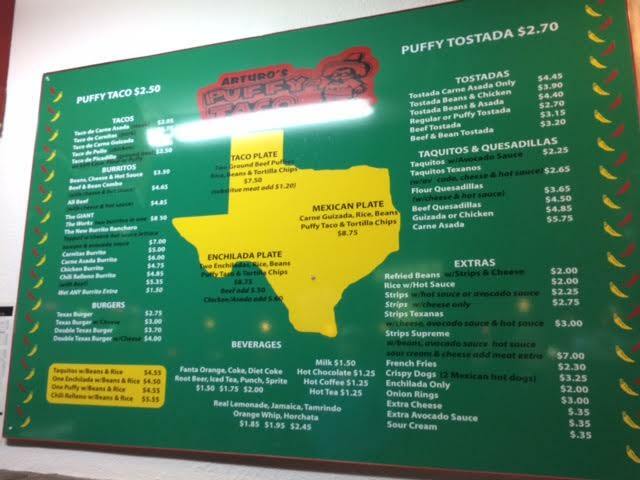 Well, puffy tacos are kind of like that. I don’t think I’ll develop a taste for them, but they’re interesting in the best sense of the term, and the carne guizado filling, a beef stew, was especially good. 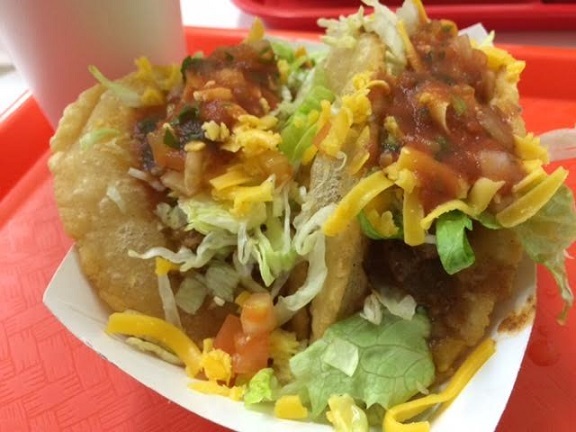 The tacos seemed identical to the ones in Texas — and, obviously, are far more easily obtained. I recently underwent a colonoscopy, an over-50 ritual, and lived to tell the tale. Wednesday’s column has the details. It’s possibly my silliest column in some time. Let me know what you think, especially if you’ve had the procedure yourself. Sunday’s column takes you on a tour of the former Chino Superior Court, closed on Dec. 31, 2012, and left somewhat intact. I took plenty of photos, which you can see in a photo gallery. 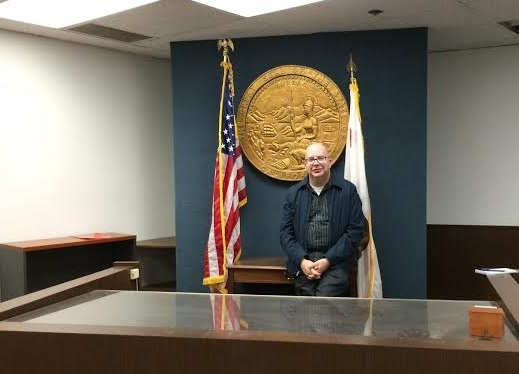 Above, the photo referenced in the column of me at the bench, with no chair or gavel, yet looking casually judicial anyway. Today’s column has tidbits from Upland, Montclair, Rancho Cucamonga, La Verne, Chino, Chino Hills and Claremont — how about that! — beginning with a driver who plowed into a vacant storefront and shook up the pizzeria next door, and ending with a Powerball item. I remember Onishicho when it was Classic 66 Burgers, where I ate a downscale Sunday afternoon lunch a decade ago and from my booth half-watched a reality show on the TV mounted behind the counter. 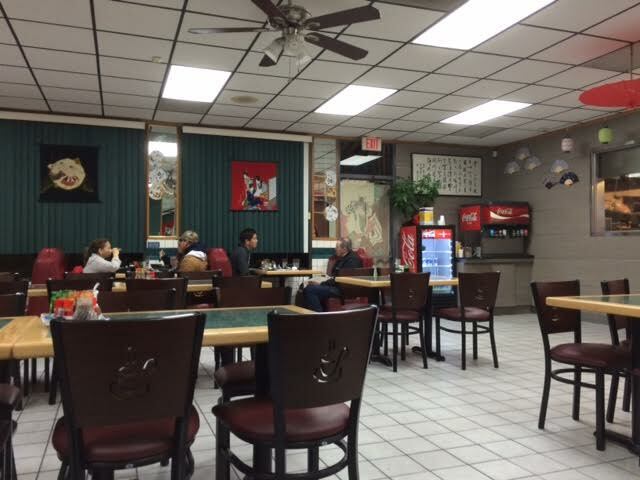 The restaurant, midway between Towne and Garey avenues on Foothill, later became a Chinese fast-food spot, with two or three iterations, one of them gone in the wink of an eye. 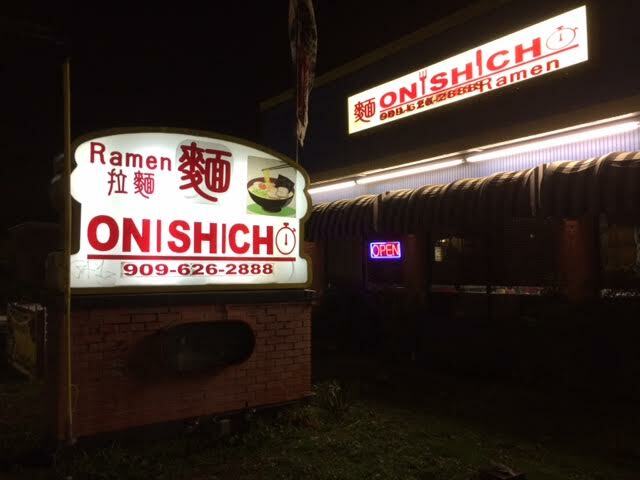 Since 2015 it’s been Onishicho, a Japanese restaurant specializing in ramen. This is why we love the crazy-quilt of Southern California, where otherwise-bland restaurant buildings can prove endlessly adaptable depending on the tenants or market forces. Reader Megan Gearhart alerted me to the latest incarnation and said it was doing a brisk business. 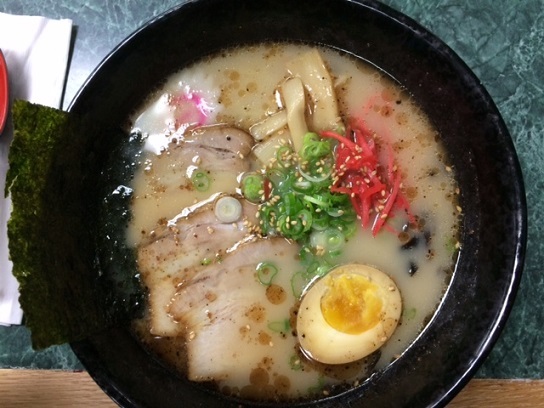 On a cold, rainy night last week, I was driving home, thought it’d be a perfect night for ramen and made for Pomona. 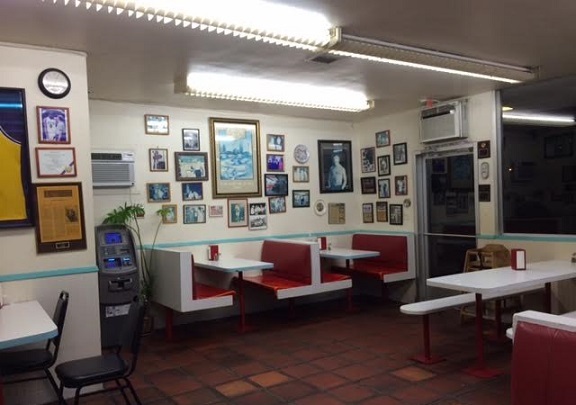 I pulled into the lot, stepped inside and was shown to a booth that may have been the one I sat in a few years earlier. The interior has been cleaned up and made over considerably. It may be a little stark and brightly lit, but Japanese fans, lanterns and umbrellas add color, as do green vertical blinds. The menu consists mostly of ramen and teriyaki, no sushi. I asked the difference between the No. 1, Tonkotsu Ramen, and the No. 2, Tonkotsu Shoyu Ramen, and was told the second one was saltier. (A friend subsequently told me “shoyu” means “soy sauce.”) I went with No. 1 ($8) and the straight noodle recommended by the server. The bowl arrived with slices of pork belly, green onions, a hard-boiled egg, pickled ginger and the noodles in broth, throwing off steam. I’ve had ramen only three or four times before, in Little Tokyo, on Sawtelle, at Noodle World Jr. and, recently, in Chinatown at the well-regarded Ramen Champ. Onishicho’s broth did not rival Ramen Champ’s, although I don’t have the expertise to tell you why, but there’s no need to set the bar that high. This was good ramen, close to home. It was filling too: There was an option to get a combo with curry rice or teriyaki, and at first I regretted not getting the latter. But after draining the bowl, I was full. 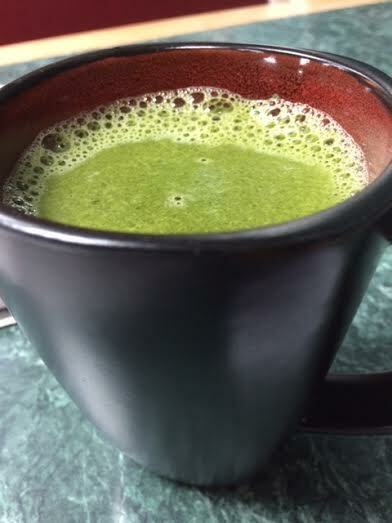 Service was polite and friendly; my server, eyeing my humble glass of water, insisted on bringing me a cup of hot matcha tea, and it was good. I expect to return. I’m fairly sure there is no other place specializing in ramen in the Inland Valley, and to find this in Pomona, in a former fast-food outlet on old Route 66, is a bonus.